Tax season can be stressful and taking the time to prepare, organize information, and write checklists will not only remind you which documents you need but it will save you time. There are many articles and checklists available online but My Tio Rico has already done the research and is here to help with tips tax preparation Phoenix professionals need to breeze through everything with no problems at all. With all the tax preparation websites and apps available these days, it has become easier than ever to file your own taxes. But, honestly, paying a tax professional can really pay off because most likely they can boost your refund by a thousand dollars or more. While a visit to the pros costs somewhere between $100-$500, they are savvier about which deductions, filing status, and credits will work in your favor. Professionals have to keep up with continuously changing laws so they will know how deductions, status and credits will affect your cash flow. 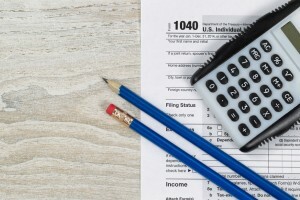 Don’t wait until the last minute to start preparing your taxes, as you’ll want to give yourself or your tax advisor as much time as possible to find the most deductions and create the best filing strategies. Get started by calling the experts at Tio Rico Te Ayuda tax preparation office today at 602-322-1010.